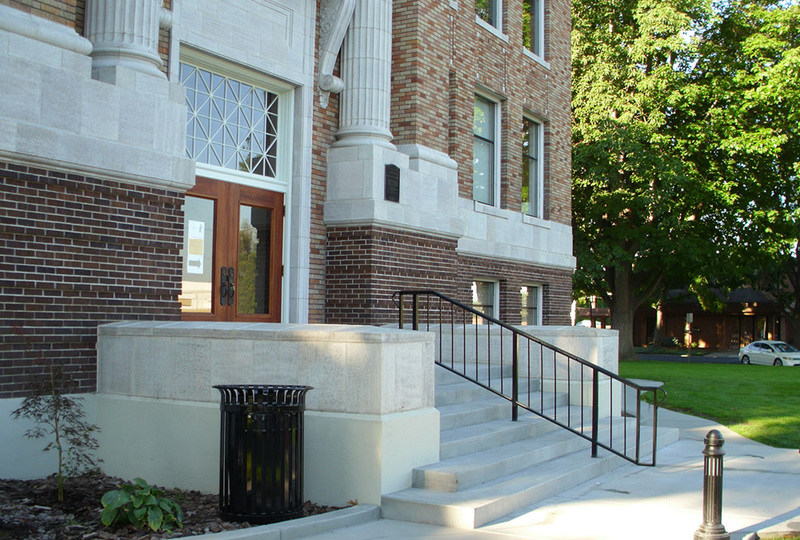 This expansive and historical remodel was quite the undertaking…a challenge G2 is proud to showcase. 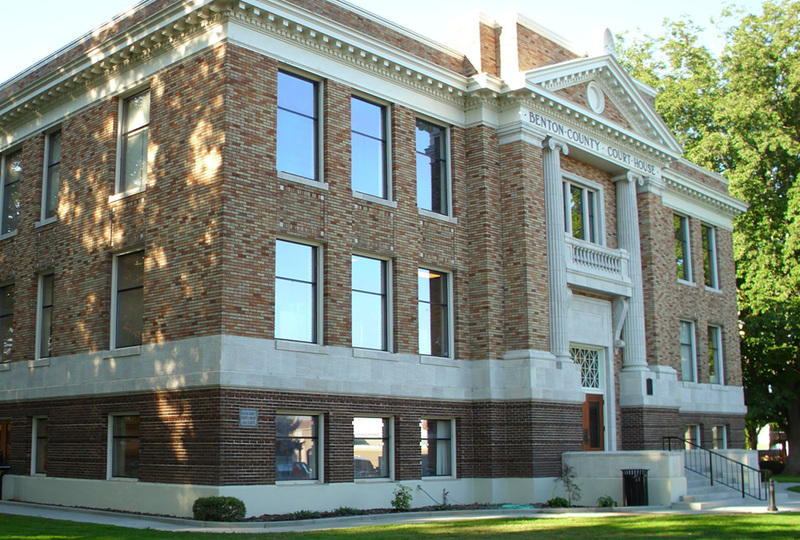 The HVAC system was completely removed and a new high efficiency system installed including new rooftop units, ductwork, roof-to-ground floor fresh air supply and exhaust, thermostats and controls system with remote access capability. 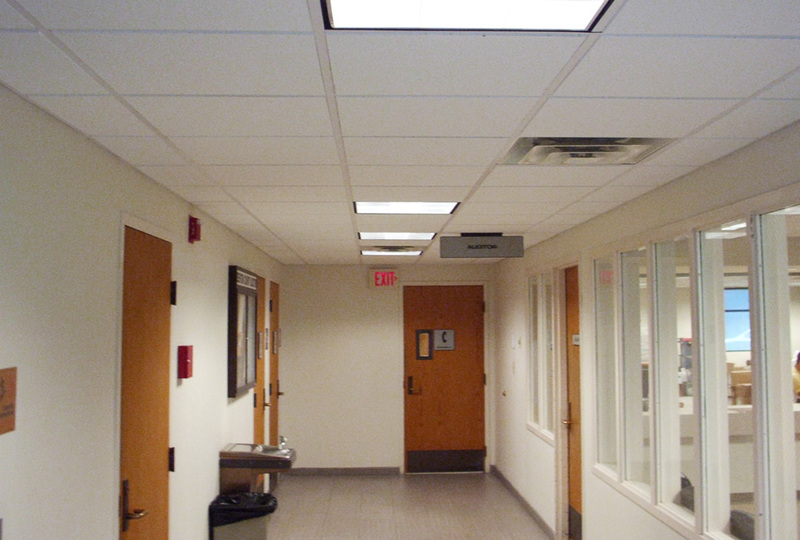 All grid and acoustical ceiling was removed and replaced, diffusers and vents cleaned, along with original light fixtures cleaned and re-lamped. 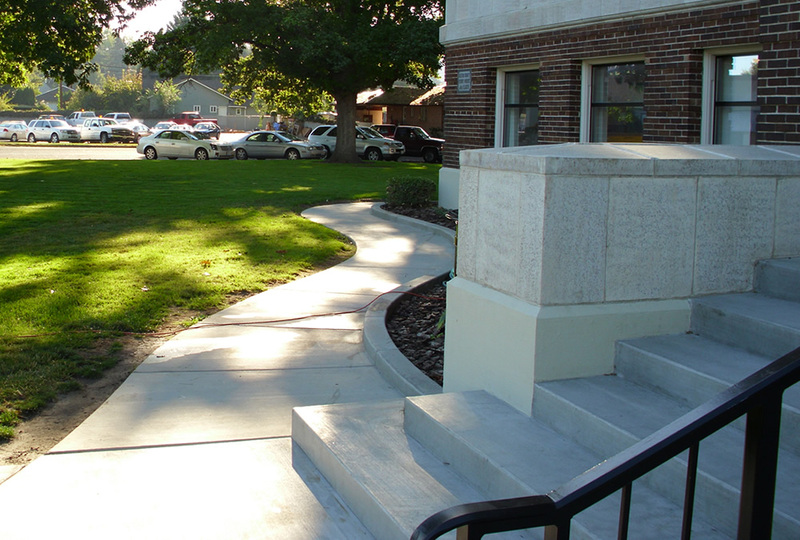 The exterior of the 1926 era building received new mortar, all bricks patched and thoroughly cleaned, Terra Cotta patched and repaired, cement foundation repaired and refinished with new stucco and paint, new front entry steps with custom handrail, all concrete and curb around building replaced, new wood front doors to match historical, side entry doors re-finished, and all hardware refurbished and wood jambs painted.